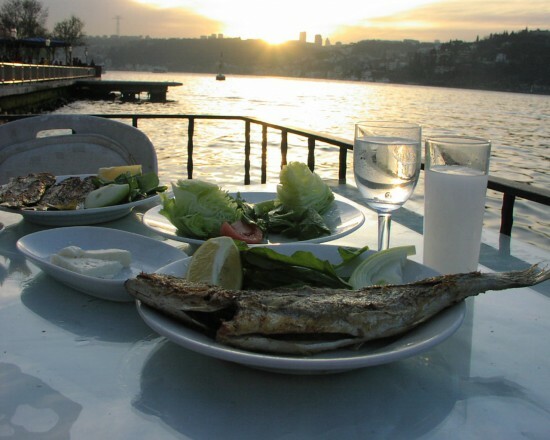 Körfez, a romantic restaurant that specializes in fish, is nestled in a cove with views of the Black Sea and the floodlit fortress of Rumeli. And, oh, the drama of it all! What appears to be a mound of encrusted rock salt is placed ceremoniously before us while the waiter, brandishing a small mallet, cracks open the casing to reveal a whole baked fish, releasing the sweet scent of the sea. Istanbul, twice the capital of great Empires (Constantinople and Byzantium to the Ancient Greeks) is a city rich in culinary history. 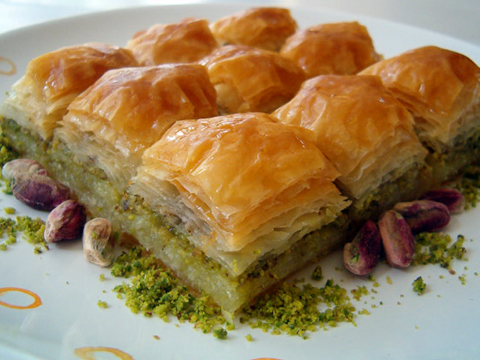 The cuisine evolved by the Ottoman Turks is civilization in itself, a preserved nostalgia for the sumptuous past. 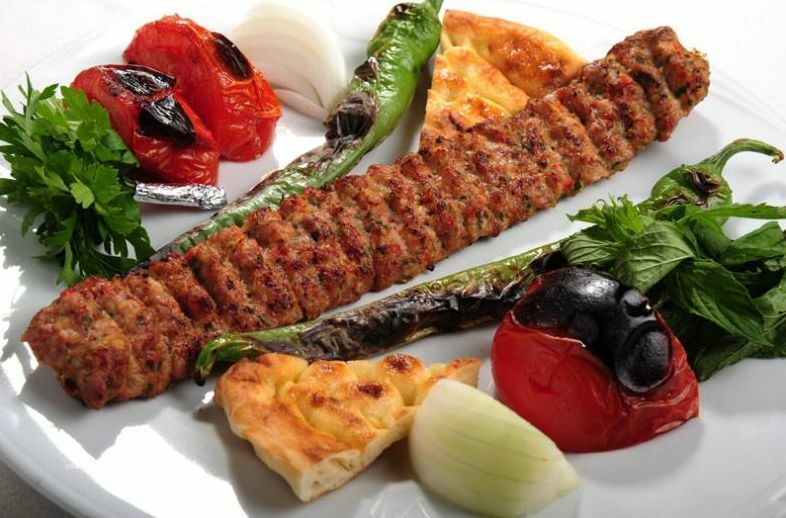 As you would imagine, eating in the manner of the Ottoman pashas was lavish, the palace kitchens vast, with the cooking so specialized that separate guilds were assigned to prepare individual dishes of pilafs, kebabs and fish. 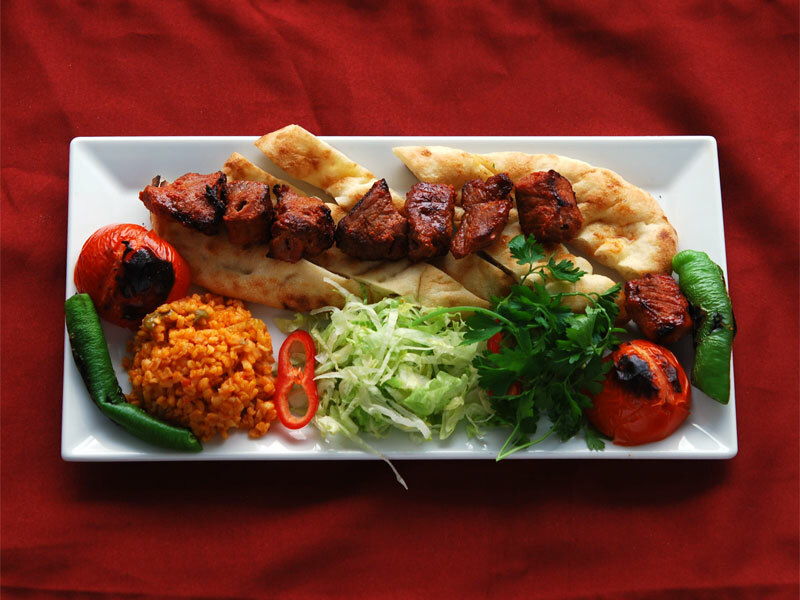 Turks, who love their food, insist on maintaining its authenticity. What is eaten, where and how is of great significance – alcoholic beverages being a good indicator of a restaurant’s place in the fabric of society. The meyhane, or bar, is where secular minded Turks go to eat fish and drink raki, the anise-flavored drink which turns milky when mixed with water. 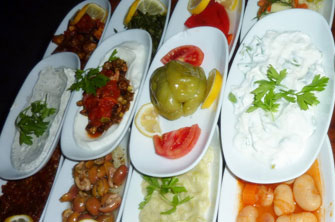 You will be served an endless variety of small dishes called meze, consumed with raki in equal measures. The meze is meant to sustain one for several hours, a backdrop to indulge in the discourse of the day. After working your way through the many small plates, the simplest of which can be a fragrant slice of melon and feta cheese, don’t be surprised if your neighbor spontaneously breaks into song. Then, just when you think that the meze must certainly be dinner, a waiter appears at your table to ask how you would like your fish! 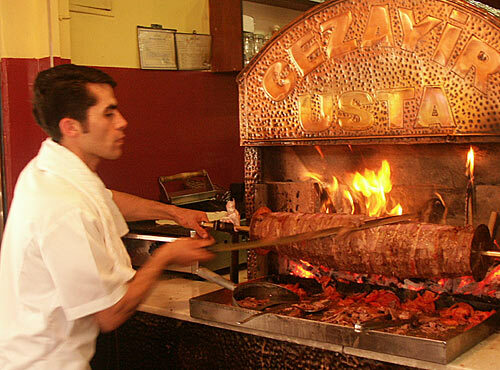 By contrast, restaurants that serve meat, kebapçi, specialize in skewered lamb and evoke the nomadic heritage of the Turks – indeed, grilled meats are considered to be Istanbul’s native food. These establishments lend themselves to serious conversation. 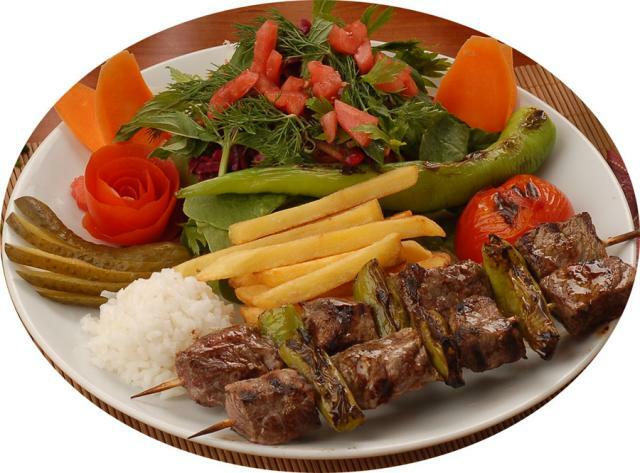 The meal follows a prescribed order: bread and cheese are served first followed by the kebabs and Aryan, a salted yogurt drink mixed with water that goes well with meat. 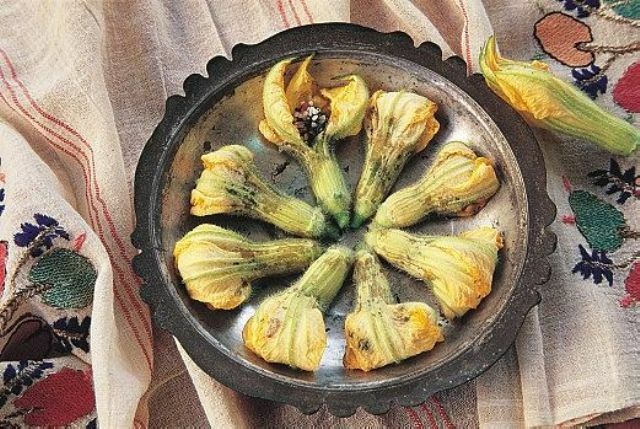 Istanbul is fast becoming one of the world’s great cities with cafés and up-market restaurants serving new-wave meze such as courgette blossoms filled with bulgur. Don’t be misled by this forward thinking. 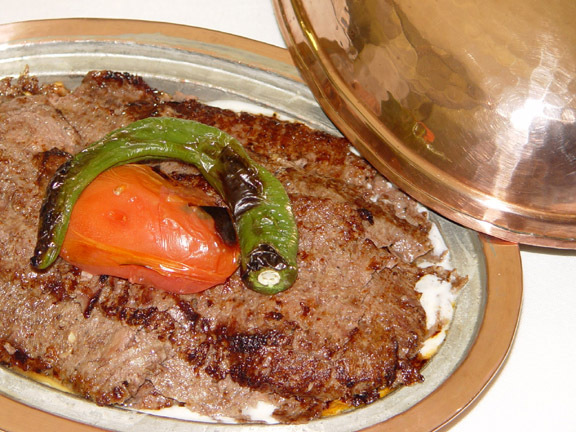 Food culture in Turkey is deeply rooted. 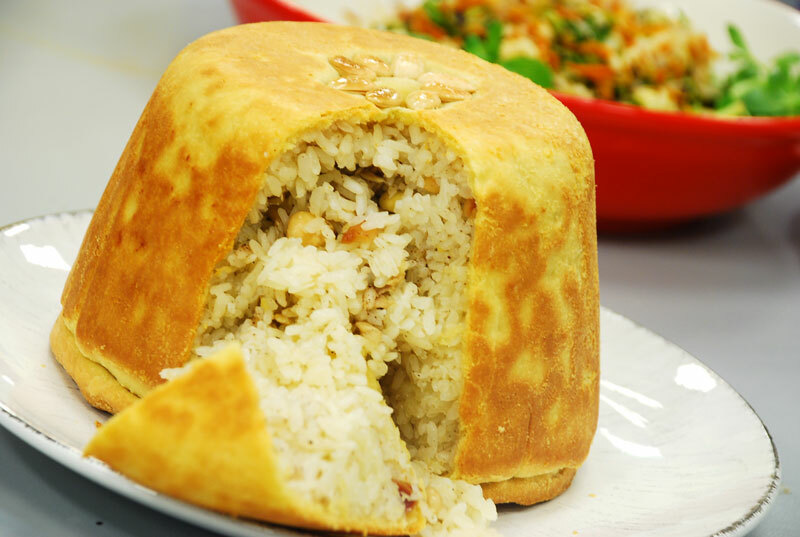 Istanbullus consider themselves to be the guardians of the Ottoman culinary heritage and in recent years there has been a movement to preserve this ancient cuisine. But after all is said and done, what Turks really want is good and lively conversation – the rest is merely an excuse. Courtney Campbell was born in México City. Her passion for travel began in her early teens when she traveled to Jamaica on a summer holiday. Since then, she has lived and worked in Madrid, Paris, New York, Los Angeles and most recently Kenya, where she lived for seventeen years. Her articles have appeared in various leading publications in the United States and East Africa. She has worked with prominent clients in México, contributing to the web sites for Vena Cava Wines and La Villa del Valle Hotel writing in English and Spanish. Courtney is also an established food writer, having contributed a monthly column to a glossy magazine in East Africa for over five years. When not traveling or cooking she can be found in Southern California and the Valle de Guadalupe, México.